Middlebridge 54 was originally supplied by Matthews Garage, Penarth, South Wales in 1991. She still has her original number plate which displays the first owners wife's initials. Apparently the car had been used by the owner of the garage on trade plates prior to being sold. The sunroof was fitted by the first owner and is not factory original. The second owner of this car was the skipper of a sand dredger on the Thames Estuary and he only used her occasionally when he returned to South Wales. MB 54 attended Curborough 2015 and I thought she looks stunning in her new paint, colour coded webasto and has a truly wicked leather interior too match! Pictures to follow. [09.15]. [03.18] She has still only covered a guaranteed 46,192 miles with all known history and has undergone substantial renovation and repair over past 3 years and is as sound as you will find. [03.18] She is now offered for sale via the Middlebridge website and is in excellent condition throughout with benefit of new MOT before sale. She has been totally refurbished internally in grey leather with trimmings to match the external colour. 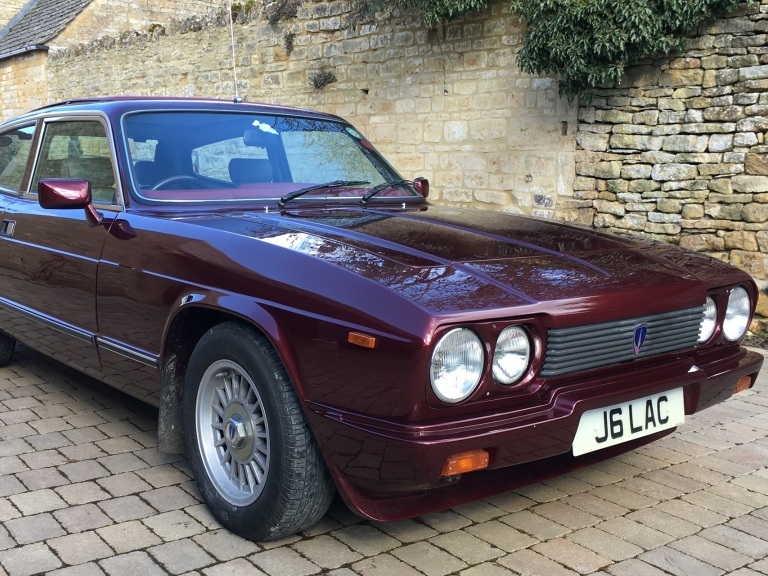 She has been resprayed in a similar maroon colour to the original but from the BMW colour range having a slight metallic edge and sparkles well in the sunlight! Significant work has also been done at Queens Road Garage (QRG) who have dealt with those specific Middlebridge technicals they are so good at. All recent invoices for work done are available to view and will stay with the vehicle when sold. The mileage at 46,192 is correct and most MOT certificates are available to view. There's also a great history file. Currently on SORN as I never have time to use it - hence why it is for sale. Much as I love MB54, my other cars and time constraints do not allow me to use it - so better She goes to an enthusiast who does have time to enjoy her. April 2018, Sold via the Middlebridge Website.